St. 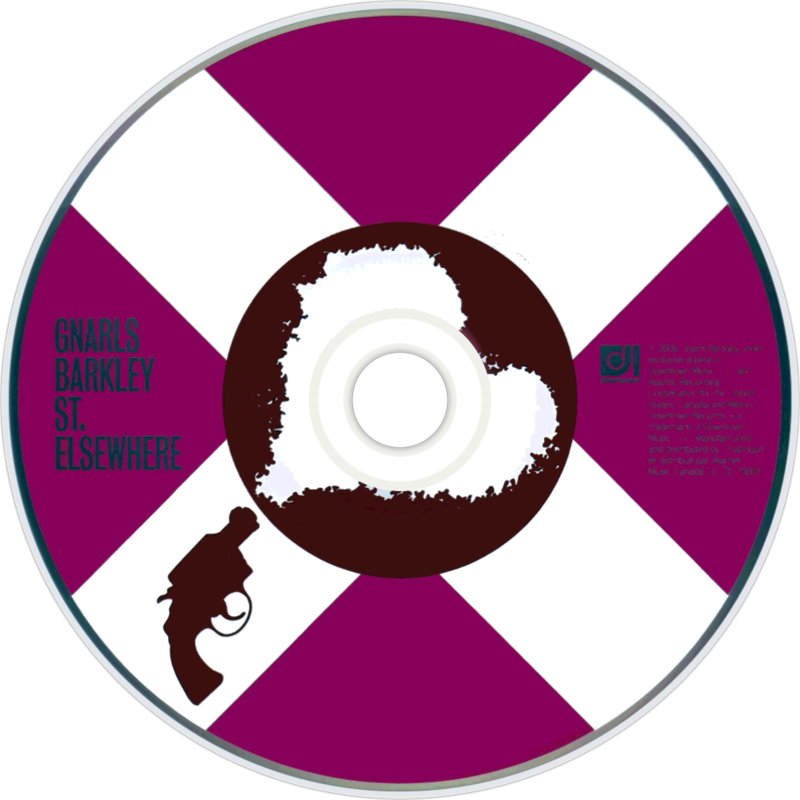 Elsewhere is the debut album by United States hip hop soul duo Gnarls Barkley. It was released on April 24, 2006 in the UK, where it debuted at number one on the UK Albums Chart, and on May 9, 2006 in the United States, although it was available for purchase one week earlier as a digital download in the U.S. iTunes Music Store. It debuted at number twenty on the U.S. Billboard 200, and peaked at #4. It topped the Billboard Dance/Electronic Albums chart for 39 non-consecutive weeks in 2006 and 2007. The album was originally titled Who Cares? in reference to the low sales Gnarls Barkley ironically predicted their album would experience. The album's first single, "Crazy", was the first song to become a UK number-one single based solely on downloads. The album was certified Platinum in the US by the RIAA, for shipping 1,000,000 units. By Nielsen SoundScan, sales were at 1,260,535 copies as of March 15, 2007. A limited edition deluxe package of St. Elsewhere was released on November 7. The CD + DVD package includes a 92 page booklet, four music videos and bonus songs from live performances. It was also released on vinyl. Albums this hip don't usually spawn chart-conquering singles. But the success of "Crazy" should guarantee that this genre-bending record escapes the ghetto of 'underground cool'. Gnarls Barkley are ex-Goodie Mob soul eccentric, Cee-Lo and underground masher-upper extraordinaire, Danger Mouse. While the latter is no stranger to infamy, being the man responsible for the legendary Grey Album bootleg, this is essentially Cee-Lo's first real taste of the mainstream, and it's about time too. "Go Go Gadget Gospel" kicks St. Elsewhere off at full steam, with Cee-Lo hollering from the depths of his belly, as frenzied samples and beats clatter below. As the album progresses, DJ Danger Mouse's eclecticism astounds; calculated pinches of Motown, Flamenco, Funk, Dub and D'n'B all get thrown into the mix, without ever sounding overcooked. On "Necromancing" Cee-Lo declares what is in effect an album mission statement, 'The production is progressive...the chords are cold-blooded murder." If there's any justice in the world, this album should sell by the truck-load.